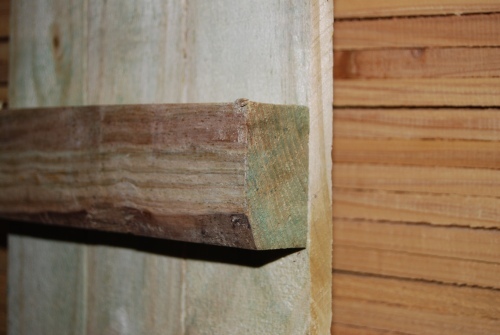 Don't get stuck with Cheap Fence Panels - What to look for. The back stringers are are a key component to your panels staying strong and not sagging over time. 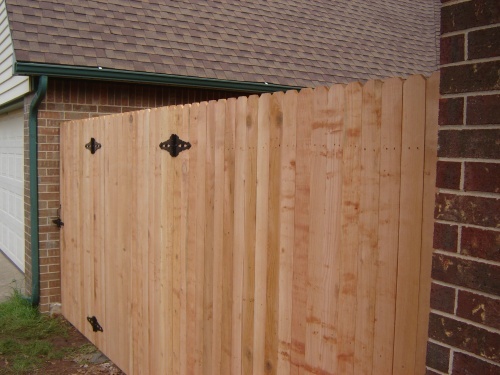 Many people choose to install cheap pressure treated panels but these inexpensive privacy fence panels are made with 2x3's instead of 2x4's. We are getting to the point of not installing cheap privacy fence. We use Redwood 2x4's for our back rails. 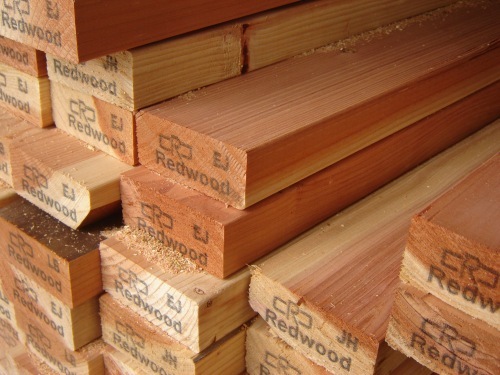 Redwood is known for it's longevity in the elements and resistance to insect damage and rot. Remember when they used to make all the park picnic tables out of redwood before the rubber coated metal tables or composite plastics came out? Well, redwood is also known for its strength. You won't find these as stringers in the cheap fence panels from the home improvement centers! 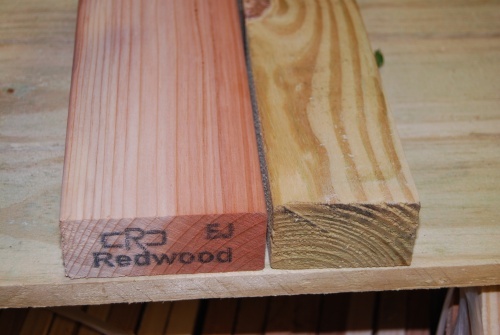 Here below are side by side comparisons of manufactured cheap fence panels vs. our redwood lumber we use. The cheap stringers only measure 2.5" inches. 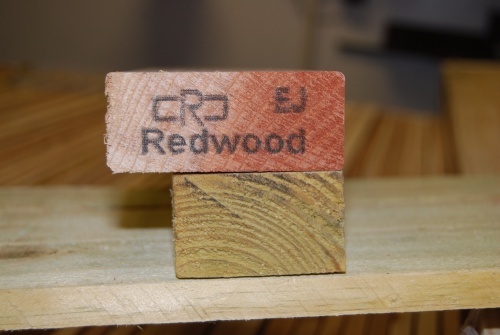 Where as the redwood stringers we use are 3.5" inches. Good lumber is usually smooth on four sides (S4S). Where as cheap lumber is usually milled with the sharp sides left as is. The lumber we use is S4S. It's good to know what kind of materials are going into your wooden fencing. 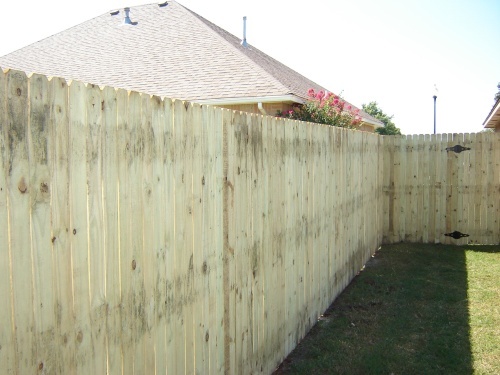 Whitewood is also used for inexpensive fence panels but needs to be treated with a preservative, stain, or paint to get better longevity like pressure treated lumber. A second consideration to beware of is that a cheap pressure treated panel will often come moldy from the factory. Since the manufacturer soaks the panel in chemicals, the panel is often not completely dried and stacked still moist. In the below picture you can see the mold on the front of the panels where the stringers are behind. You want to use cedar wood because of its many wonderful qualities. It resists insect damage and rot well. It holds its shape well as it dries and weathers in the elements. It is very attractive when used as a fencing. And, it is a wonderfully aromatic wood. We can easily and do install the pressure treated panels however, we prefer you to use cedar pickets and strong, sag resistant, redwood stringers.